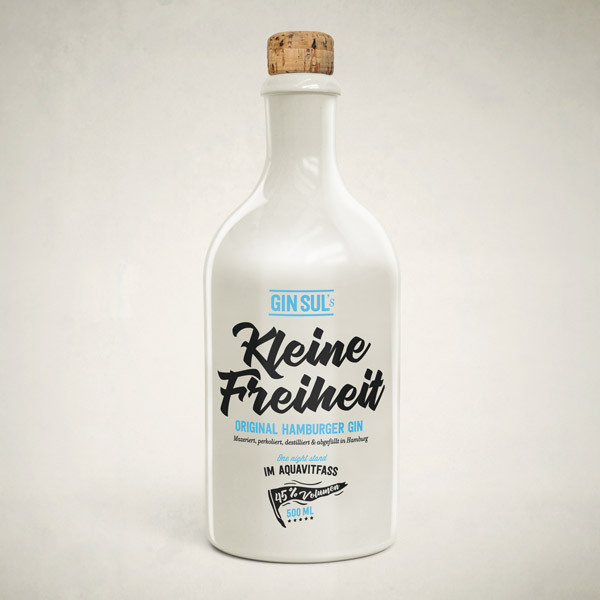 Gin Sul is the Dry Gin from Hamburg (Germany), with roots in Portugal. A testament to our love for this beautiful country at the south-western tip of Europe. Simple, fresh and elegant. Our exclusive dry gin is characterised by the finest botanicals, careful distillation in very small batches and subtle hints of Mediterranean citrus. 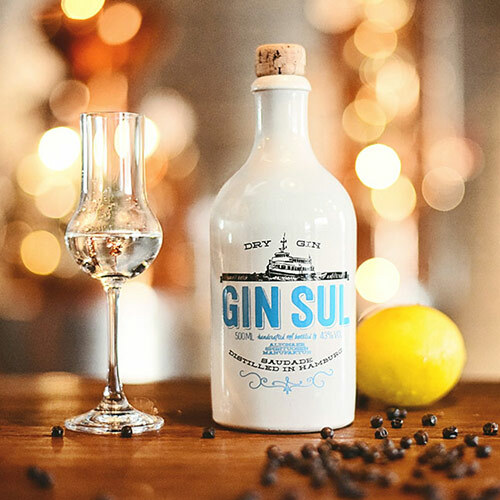 Juniper berries, coriander, fresh lemons from Portugal, rosemary, peppers, lavender, cinnamon and gum rockrose (Cistus Ladanifer) are just some of the ingredients which capture the ‘saudade’, or soulful longing, in Gin Sul. The lemons which grow in the western Algarve are often as large as grapefruits, with peel as thick as one’s thumb, and a lemony taste that brings back childhood memories. With our maceration, it’s the quality of these botanicals that matters, more than the variety of ingredients. ‘Simple is beautiful’ is our philosophy, especially with the superb organic junipers or the fresh rosemary, which go into GIN SUL. The fragrant aroma as you travel from Setúbal to Sagres lies between honey and eucalyptus, and it’s the cistus or aromatic gum rockrose grown on the barren terrain of the steep cliffs along the Costa Vicentina - typically alongside lush juniper bushes - that we capture in Gin Sul. Only 100 litres - that’s all our distillery’s copper still - crafted by Arnold Holstein in Markdorf on Lake Constance - can hold. Compared to the industry average, that’s what you might call a “homeopathic” production volume. En route to the “spirit pipe“, all the alcohol vapour must battle its way through what is known as an anisateur: a spirit tray, which in our bespoke distillation process, is filled with fresh lemon peel, rosemary and rose petals. 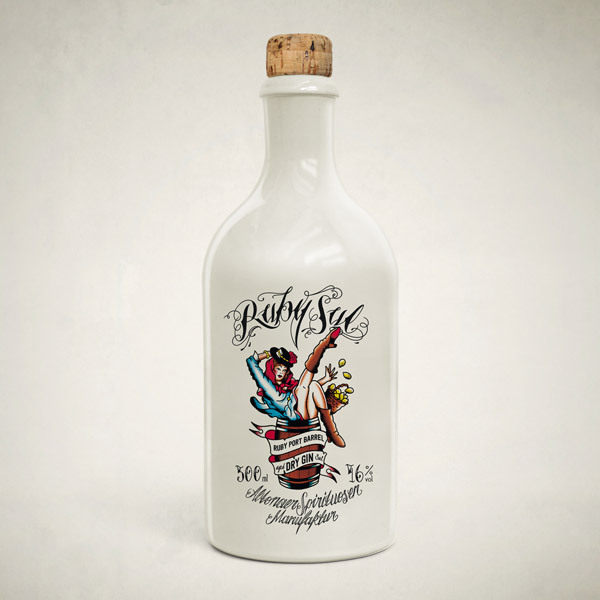 The cold, clear and soft water from the Lüneburg Heath region, south of Hamburg, is blended with GIN SUL distillate in the Altona Spirit Manufacture to bring it to 43% strength. Thirty-three wells, bored to a depth of up to 326 metres, supply water from the shingle of the Saalian Ice Age and the lignite sands below. Creating the ideal source of water for Gin Sul. Once you have been charmed by the subtle fragrance of the wild juniper and rock roses (Cistus ladanifer) that line the rugged cliffs on the west coast of Portugal, there will come that day when you will sense an unquenchable desire for the south – that wonderful sensation of wanderlust, wistfulness and melancholy known to the Portuguese as “Saudade”. It is essentially impossible to translate Saudade. The Times even listed Saudade in the top ten "most untranslatable words in the world". The word describes a mixture of longing, wistfulness, a kind of Weltschmerz, and nostalgic melancholy. In short: something unattainable, both beautiful and sad at the same time – like an Atlantic sunset. 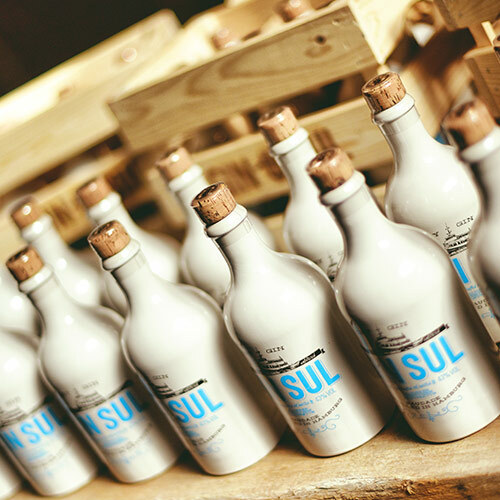 More than 2,800 km further north in Hamburg, Germany, the flavour of Portugal is preserved in Gin Sul – handcrafted and distilled with carefully selected botanicals and the peel of fresh lemons from the Algarve. Enjoy Gin Sul with a premium tonic water, a twist of orange peel, some rosemary, plenty of ice and ideally with a sunset view over the Atlantic. 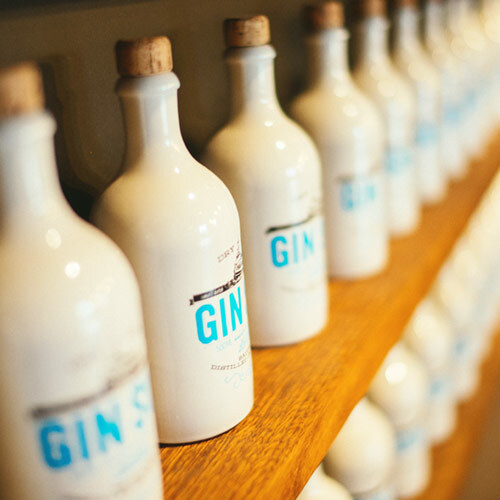 Gin Sul is filled into distinctive white clay bottles. These are made from stoneware, then glazed and screen printed. The forebear of gin, jenever, was almost always filled into such jugs, as the thick ceramic walls protected the spirit’s subtle flavours from light and changes in temperature. When industrial glass-making triumphed, the natural material fell out of fashion. 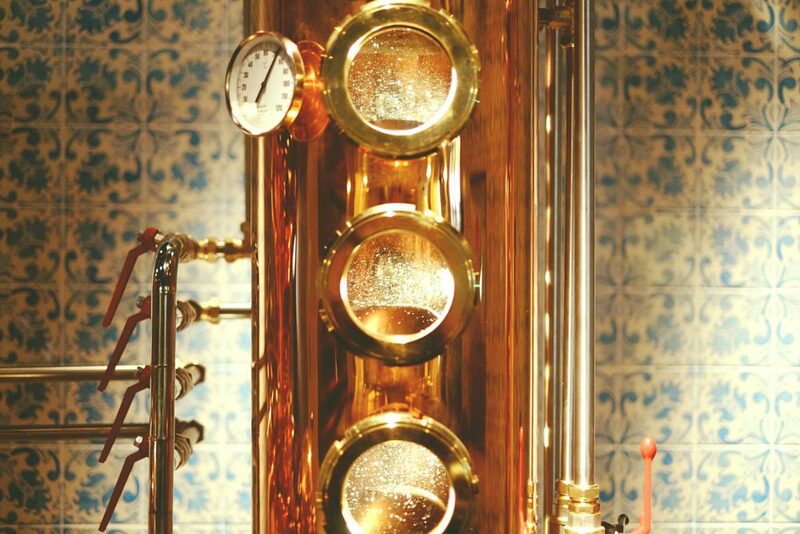 Unjustly, we believe, since it protects the delicate aromas of the gin from fluctuations in light and temperature. Every child in Hamburg – and in Lisbon – knows them: Hamburg’s ferries, or “Typschiffe”. Used by HADAG on the Elbe for passenger transport (the HADAG ferries) in the port of Hamburg since the 1950s, they helped shape the face of the hanseatic city. By the end of the 70s, the bulky ships had become too expensive to maintain and were slowly phased out. Six were sold to Portugal. The Transtejo ferry company used them to connect Lisbon with the southern municipality of Cacilhas, leading locals to call these proud boats "Cacilheiros". FROM GIN TONIC TO GIN SUL. Everything started with Dona Alice's grilled bacalhau. I caught lusophilia – the love of Portugal and its people – a long time ago, in a shed converted into an "Adega" on the outskirts of Lisbon. I traveled the country, began to learn the language in bars using gestures and signs, and eventually commuted between Hamburg and the south of Portugal. The rough Atlantic coast was not just beautiful, it also provided the perfect backdrop for cultivated 5 o-clock gin tonics – my second passion. And so a few years ago, on the beach at Odeceixe, the idea for a Portuguese-inspired gin was born, a gin that would capture the fragrances and tastes of the south – well, maybe not that of bacalhau. 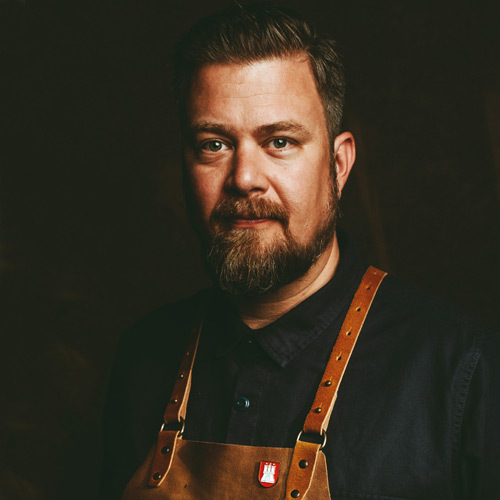 I quit my job, scraped together all my savings and learned the art of distilling from a young distiller. Late in the summer of 2013, the conversion of a former joinery began and just a few months later the first juniper distillate dripped into the stainless steel jugs. P.S. : By the way, Donna Alice rarely – actually, never – drinks gin tonic. She prefers red wine with Sprite. Still, her "Bacalhau com natas" is the best under the sun. founder of the Altona Spirits Manufacture. At irregular intervals, we do something special: individual, strictly limited, hand-labeled special editions that are very popular with connoisseurs and collectors both here and abroad. In 2014 it was Ruby Sul, a Ruby Port barrel aged GIN SUL. 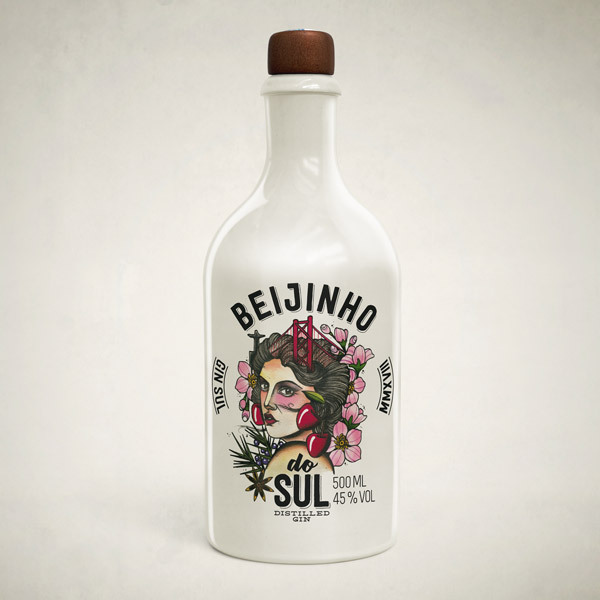 In the following year, Cruzeiro do Sul (2015, Moscatel barrel aged Gin Sul) came onto the market, in 2016 Rota do Sul, and last year the Kleine Freiheit. The bottles are already completely sold out. Only a few bottles can still be found at rarities dealers or on auction platforms. 2018’s special edition is called Beijinho do Sul.